Mike Hodge—veteran of the Great War, big shot of the Chicago Tribune, medium fry—probably shouldn't have fallen in love with Annie Walsh. Then, again, maybe the man who killed Annie Walsh have known better than to trifle with Mike Hodge. 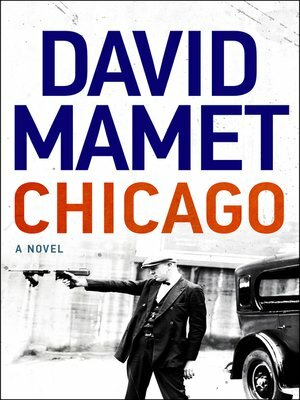 In Chicago, David Mamet has created a bracing, kaleidoscopic page-turner that roars through the Windy City's underground on its way to a thunderclap of a conclusion. Here is not only his first novel in more than two decades, but the book he has been building to for his whole career. Mixing some of his most brilliant fictional creations with actual figures of the era, suffused with trademark "Mamet Speak," richness of voice, pace, and brio, and exploring—as no other writer can—questions of honor, deceit, revenge, and devotion, Chicago is that rarest of literary creations: a book that combines spectacular elegance of craft with a kinetic wallop as fierce as the February wind gusting off Lake Michigan.